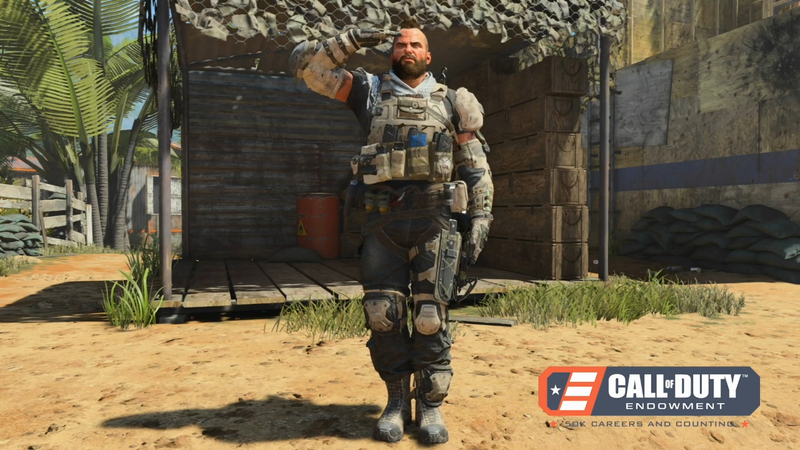 The Call of Duty®: Black Ops 4—Call of Duty Endowment Salute Pack (PS4/Xbox One/PC), developed by Treyarch, includes a special Call of Duty Endowment in-game tag, sticker, gesture, calling card, and emblem. The Call of Duty®: Black Ops 4 - Call of Duty Endowment Salute Pack is developed by Treyarch. 100% of proceeds will go towards placing US and UK Veterans into meaningful jobs through the Call of Duty Endowment. SANTA MONICA, Calif.--(BUSINESS WIRE)--Activision Blizzard (Nasdaq:ATVI) today announced a new in-game pack to support the Call of Duty™ Endowment’s international effort to help unemployed and underemployed veterans in the U.S. and U.K. find high-quality careers. 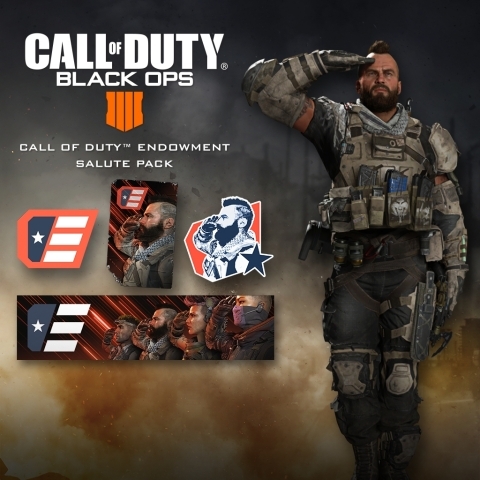 The Call of Duty®: Black Ops 4—Call of Duty Endowment Salute Pack (PS4/Xbox One/PC), developed by Treyarch, includes a special Call of Duty Endowment in-game tag, sticker, gesture, calling card, and emblem. The new Salute Pack retails for $4.99 and is available now in the in-game store and the Sony, Microsoft, and Battle.net online stores. 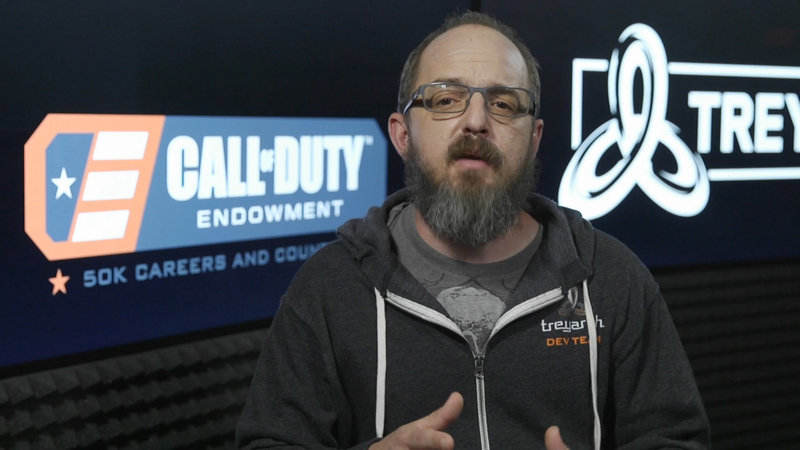 One hundred percent of proceeds will go directly to the Call of Duty Endowment’s (“the Endowment”) mission to help veterans in the U.S. and U.K. secure quality careers when they leave military service. More than 50,000 veterans have been placed in high quality jobs to-date through the Endowment, many of which were made possible through impactful in-game programs such as the Salute Pack. The Call of Duty Endowment is a non-profit foundation started in 2009 by Activision Blizzard CEO Bobby Kotick. With a mission to identify and fund the best and most effective employment-focused veteran-serving organizations, the Endowment was initially established in the U.S. to identify and fund best-in-class organizations to place 25,000 veterans in jobs by the end of 2018. That goal was met two years early, and was ambitiously revised to placing 50,000 veterans into high-quality jobs by 2019. Having also achieved that goal ahead of schedule, the Endowment is now doubling down with a new goal of securing placements for a total of 100,000 veterans by 2024. Activision Blizzard, Inc., a member of the Fortune 500 and S&P 500, is the world's most successful standalone interactive entertainment company. We delight hundreds of millions of monthly active users around the world through franchises including Activision's Call of Duty®, Destiny, and Skylanders®, Blizzard Entertainment’s World of Warcraft®, Overwatch®, Hearthstone®, Diablo®, StarCraft®, and Heroes of the Storm®, and King's Candy Crush™, Bubble Witch™, and Farm Heroes™. The company is one of the Fortune "100 Best Companies To Work For®." Headquartered in Santa Monica, California, Activision Blizzard has operations throughout the world, and its games are played in 196 countries. More information about Activision Blizzard and its products can be found on the company's website, www.activisionblizzard.com.